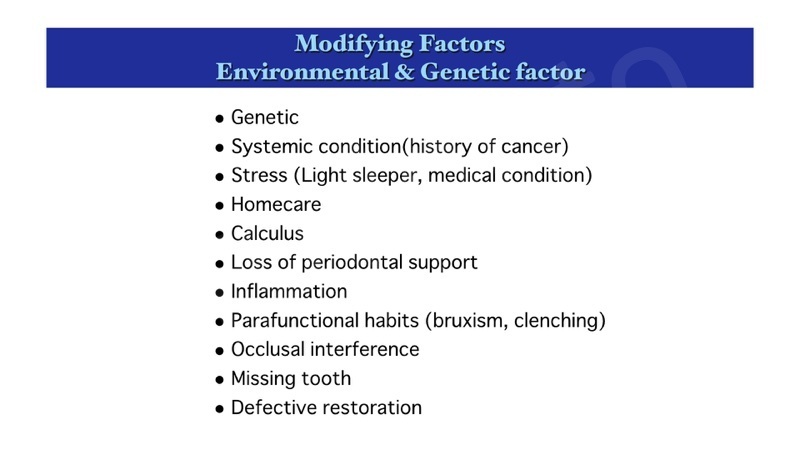 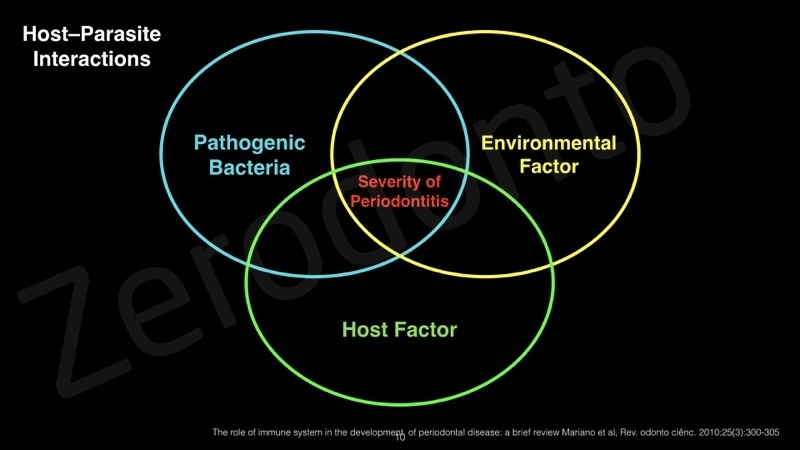 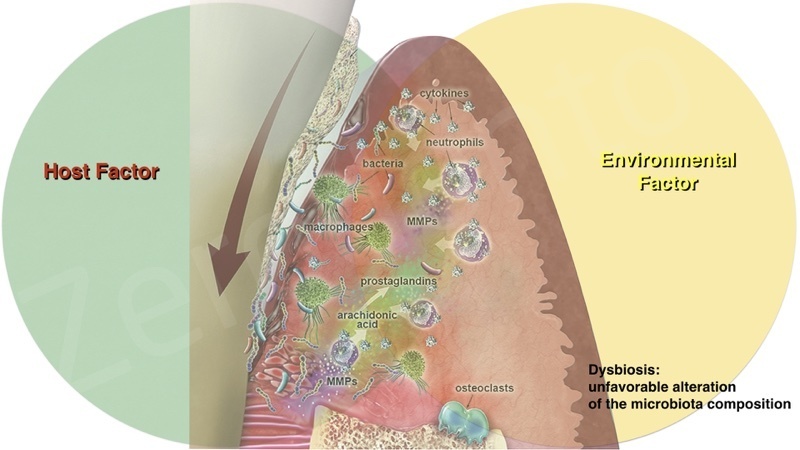 Periodontitis is a complex disease that involves interactions among pathogenic bacteria, host immune response, and environmental and genetic risk factors. 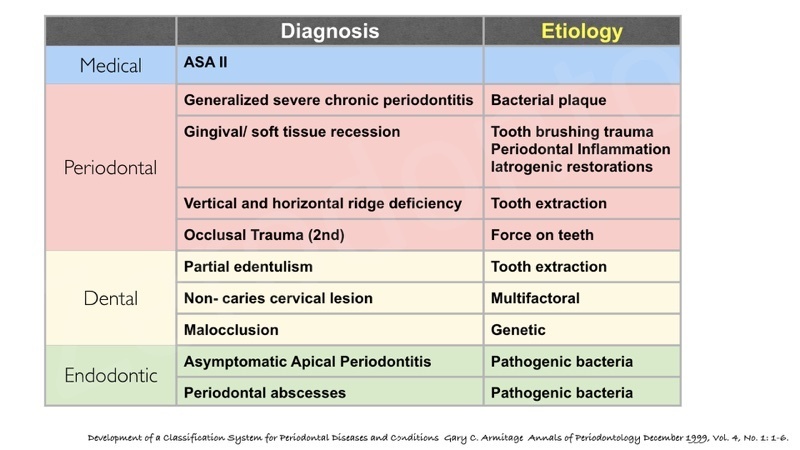 Treatment of periodontitis requires a proper diagnosis to identify the etiology and also to modify risk factors of the specific patient, followed by control of periodontal infection and application of periodontal surgery when indicated. 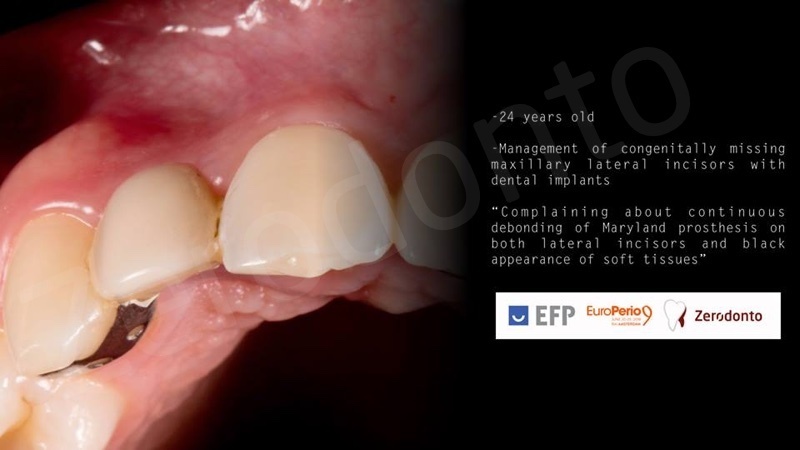 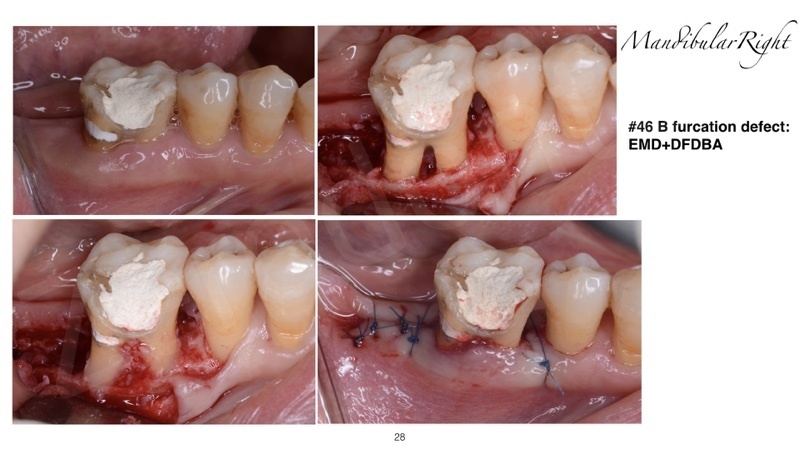 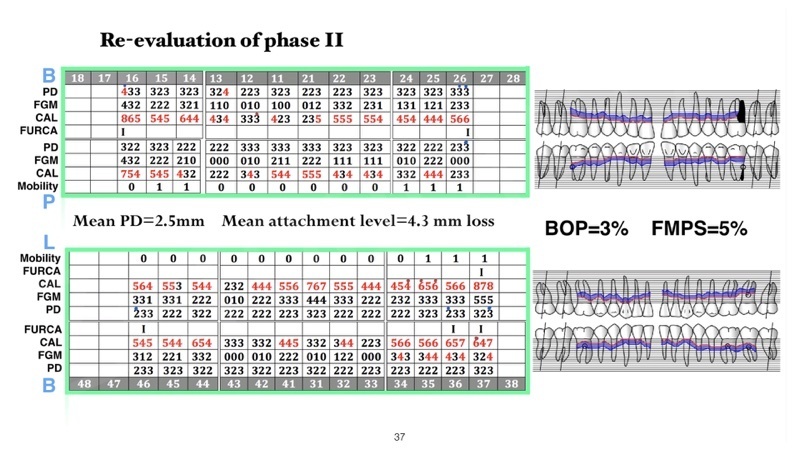 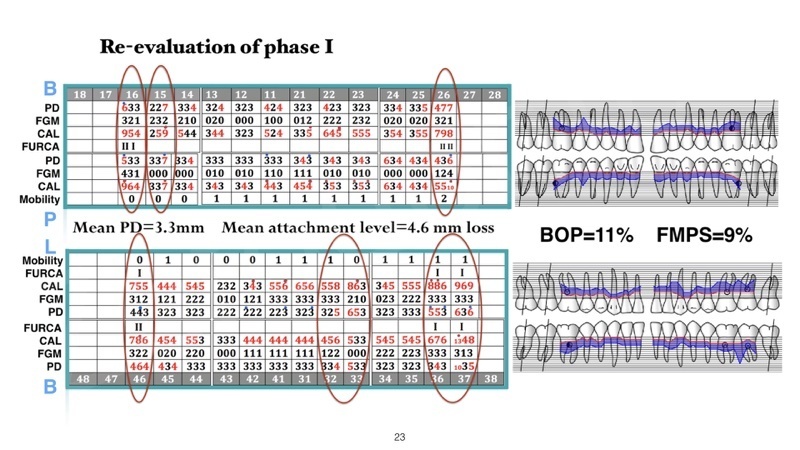 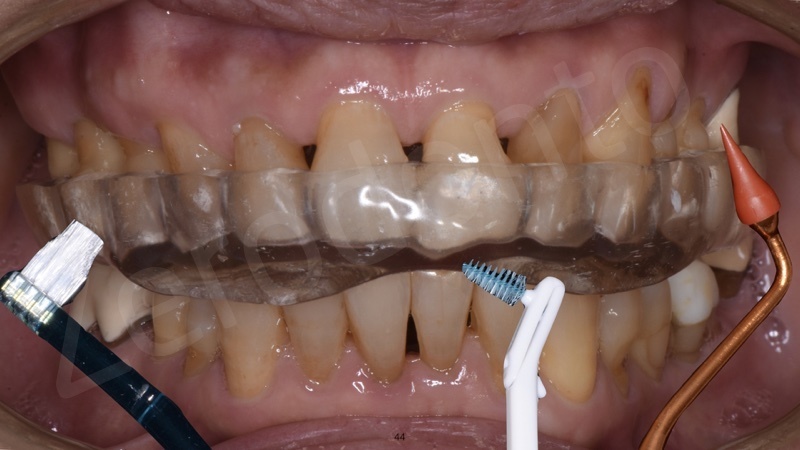 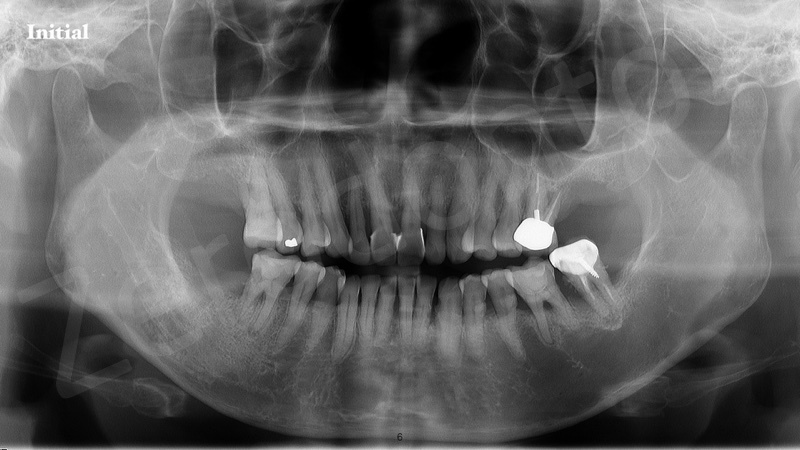 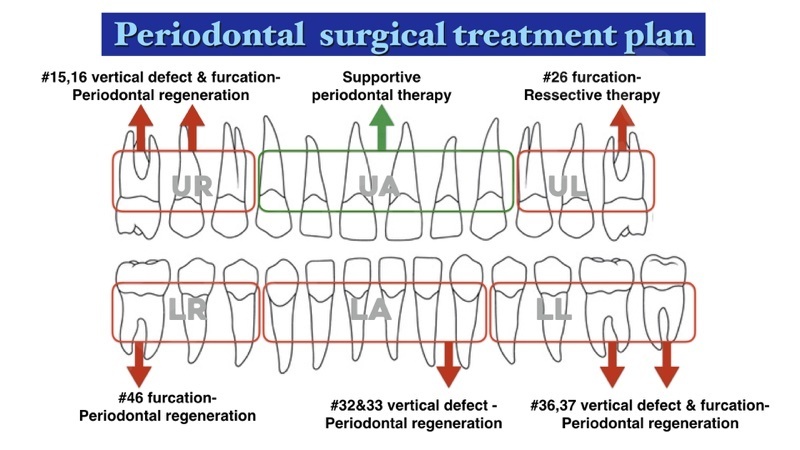 In modern dentistry, when implant therapy is merged into conventional approaches, it is critical and sometimes difficult for the dentist to make a final decision of treatment approach and often the main question “to retain or to extract” comes into consideration when facing a compromised dentition. 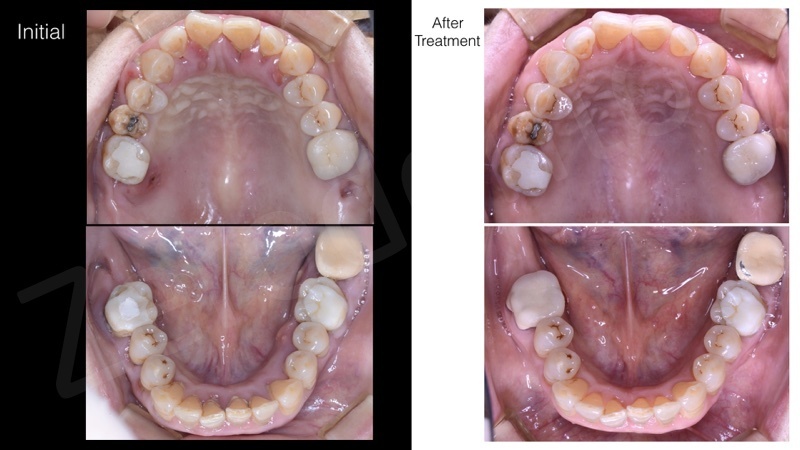 However, we have to always keep in mind that dental implant serves as a supplement not the substitute to our precious nature dentition. 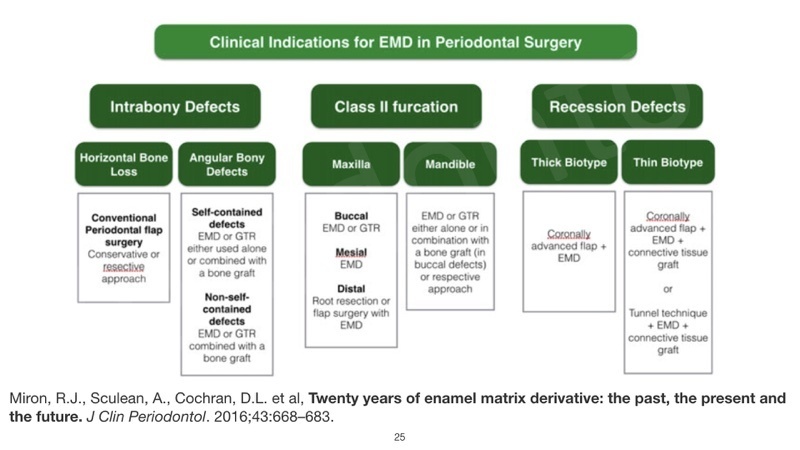 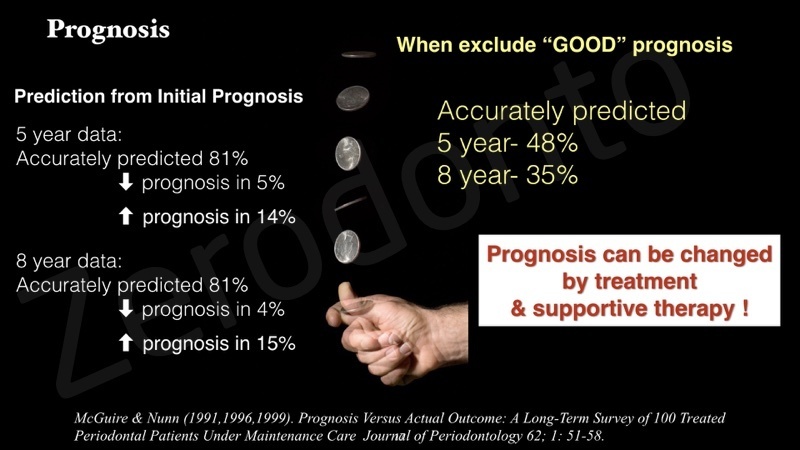 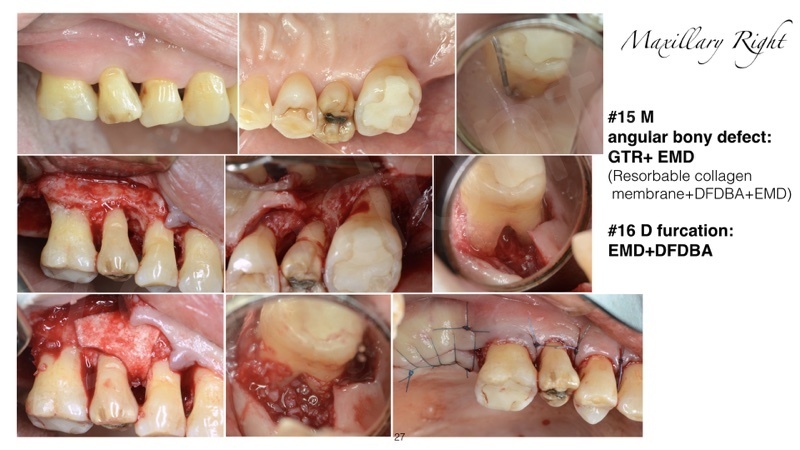 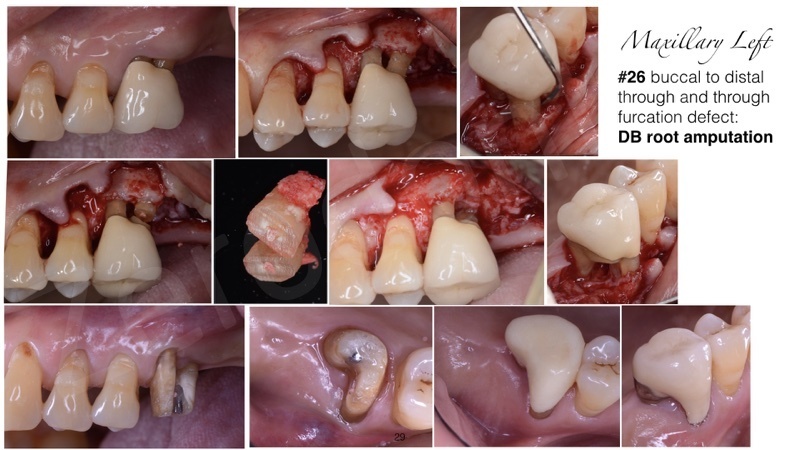 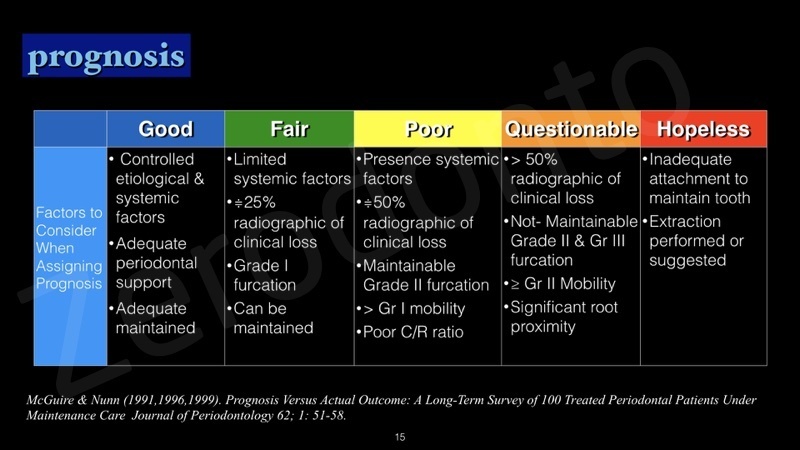 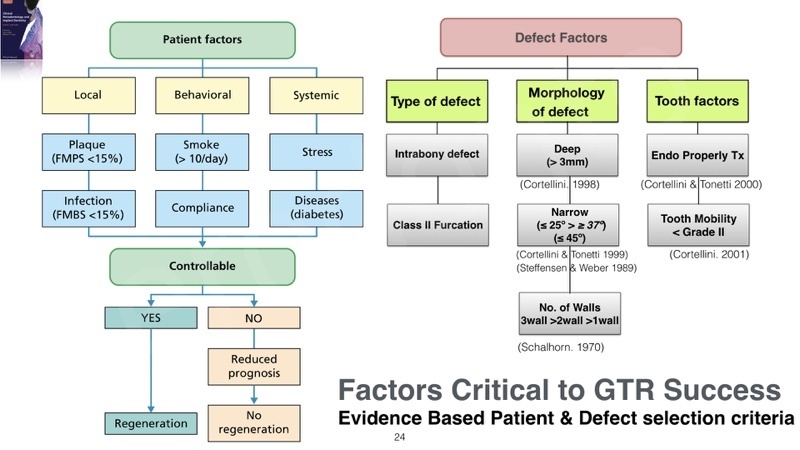 When treating periodontal patients, simply removing teeth sometime does not solve the core of the problem and it is risky to judge from the first impression without comprehensive assessment. 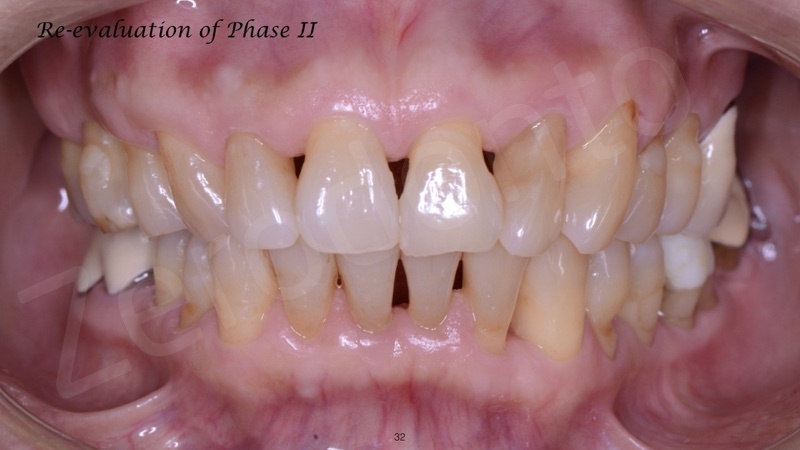 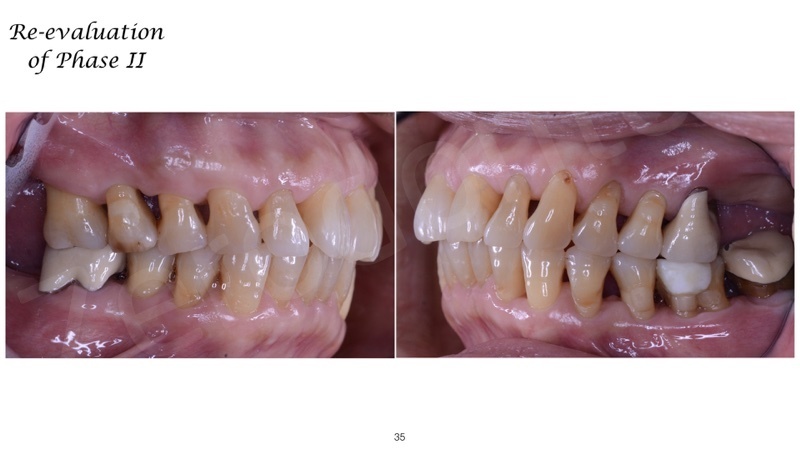 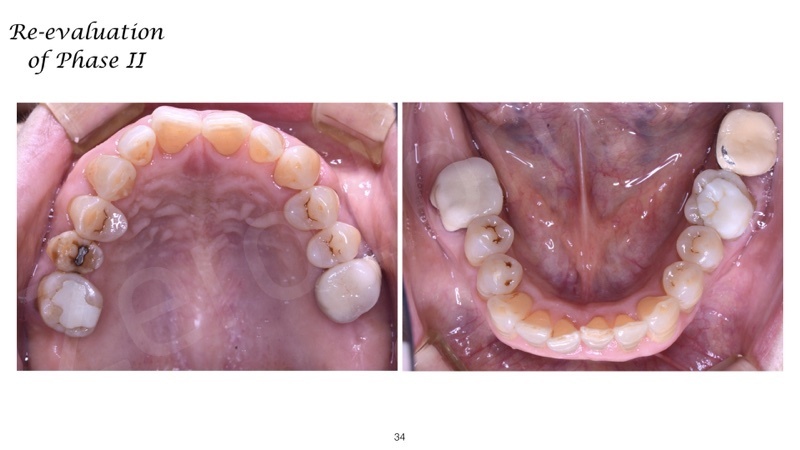 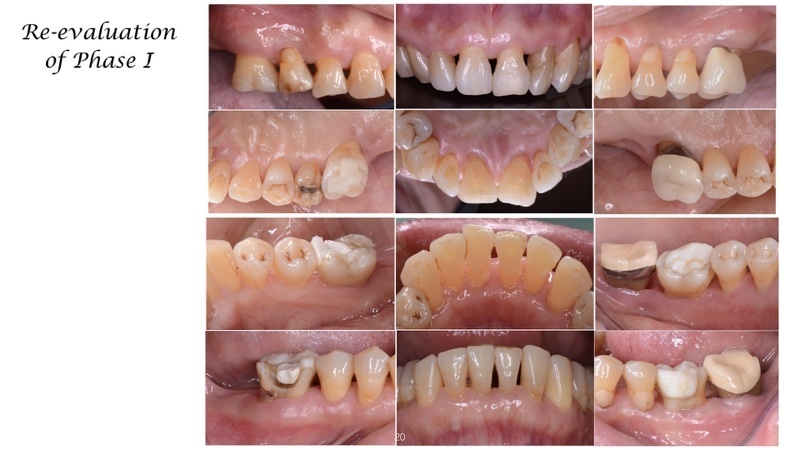 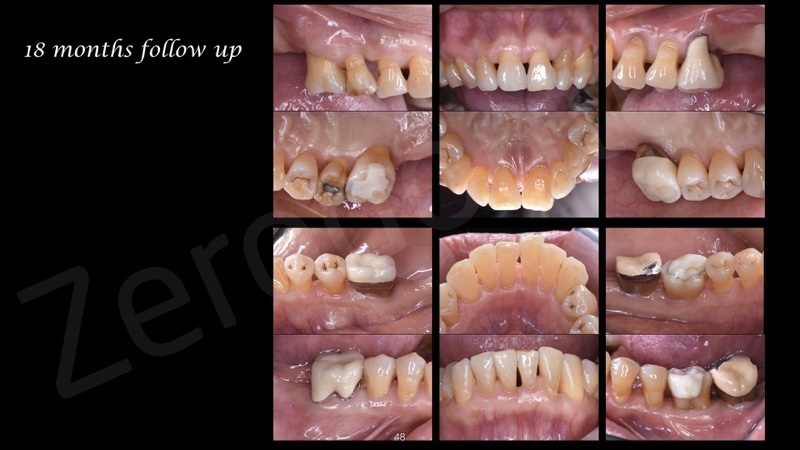 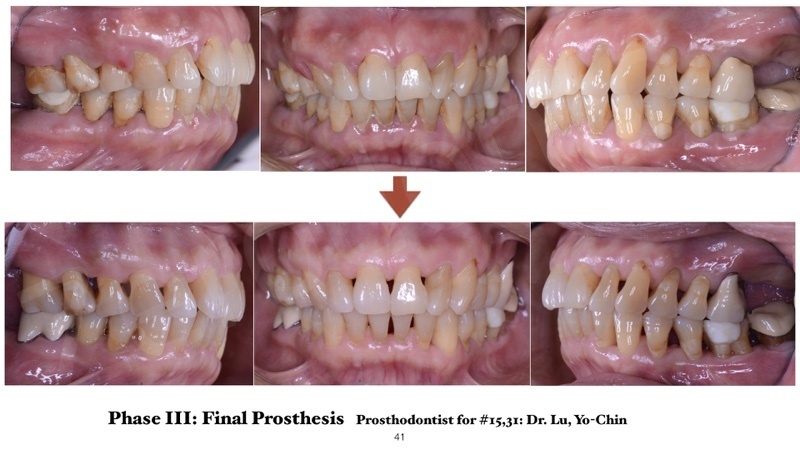 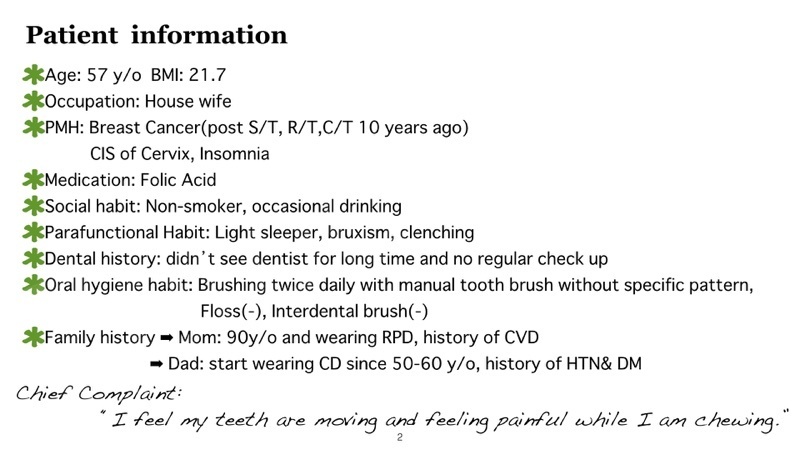 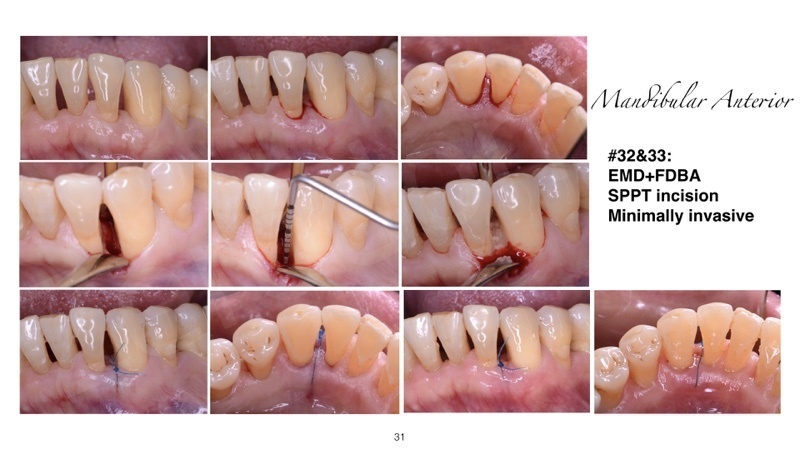 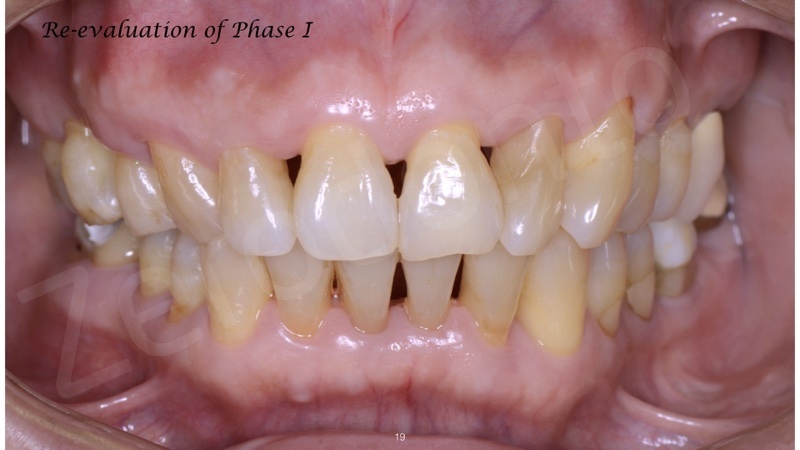 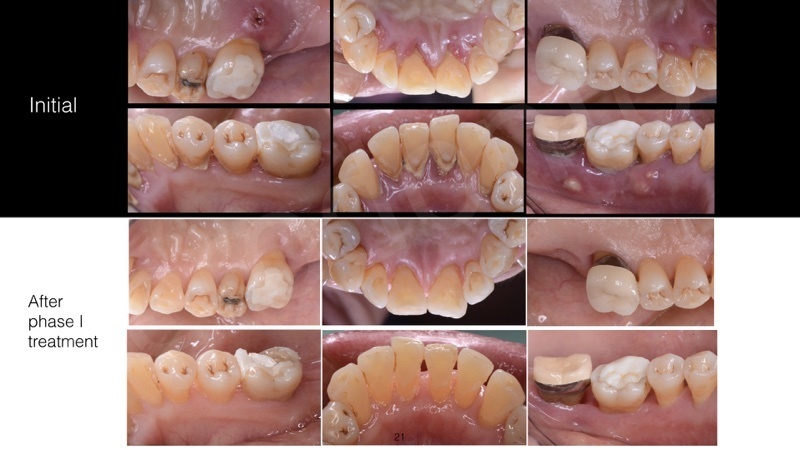 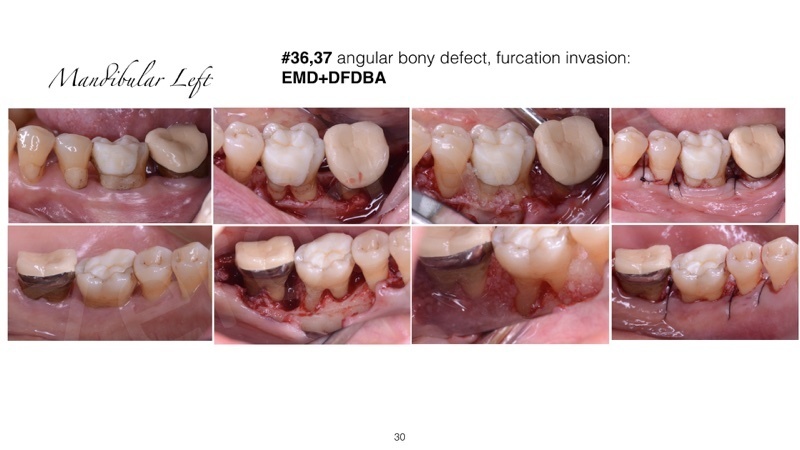 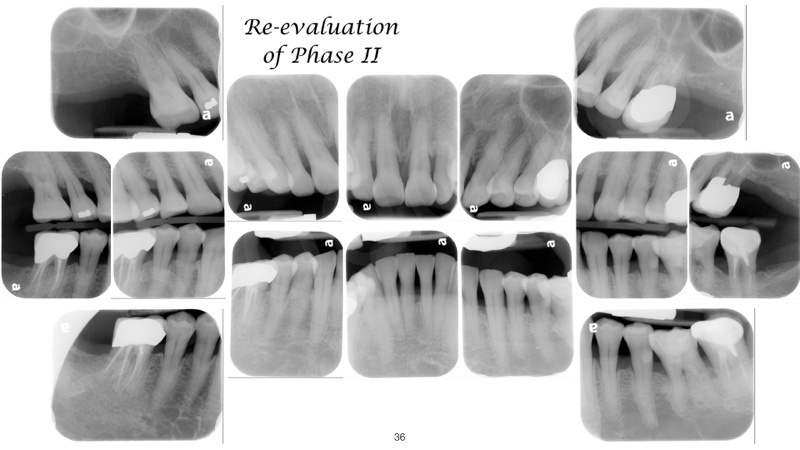 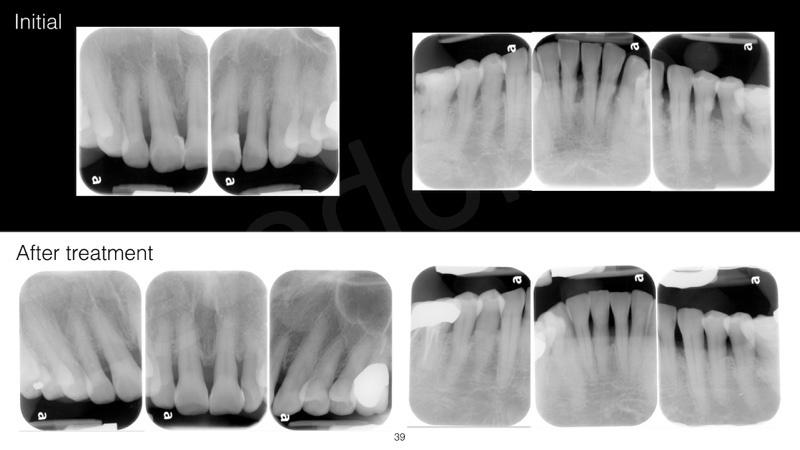 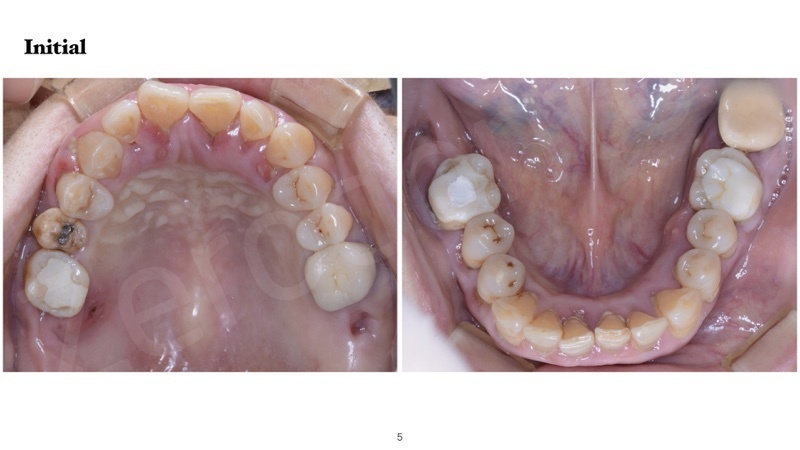 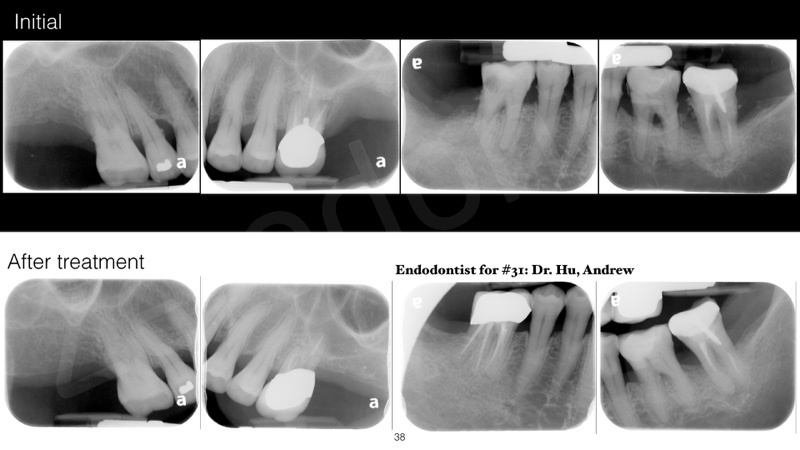 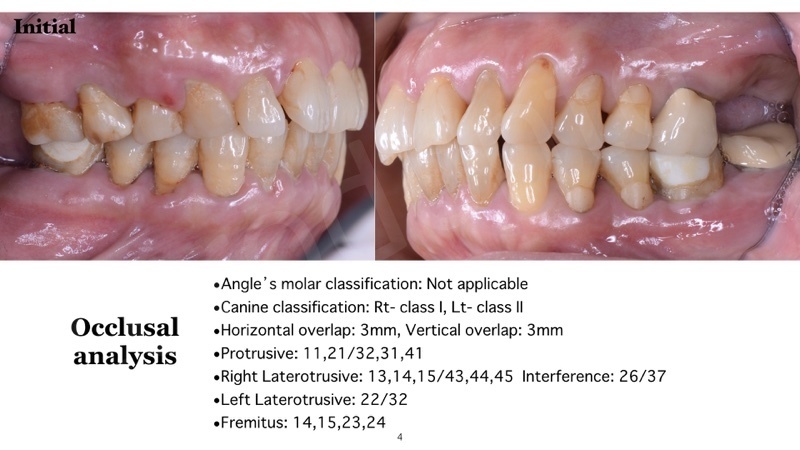 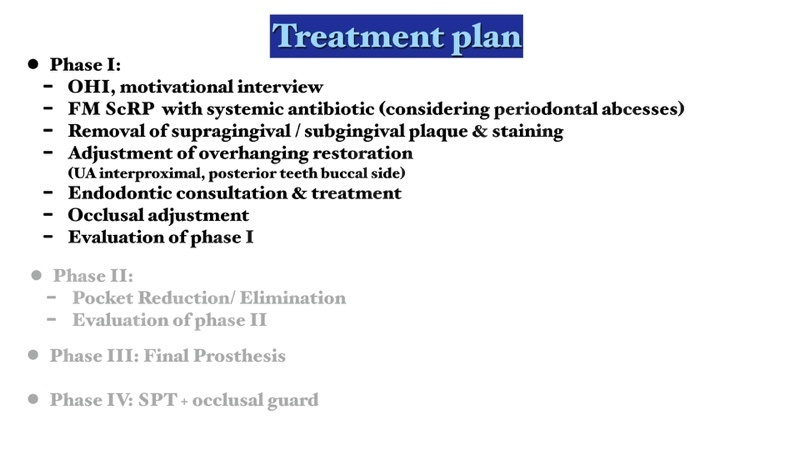 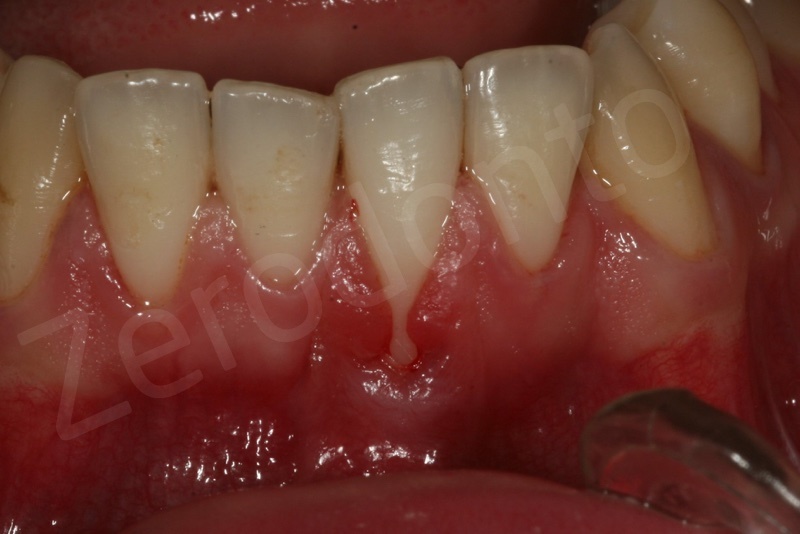 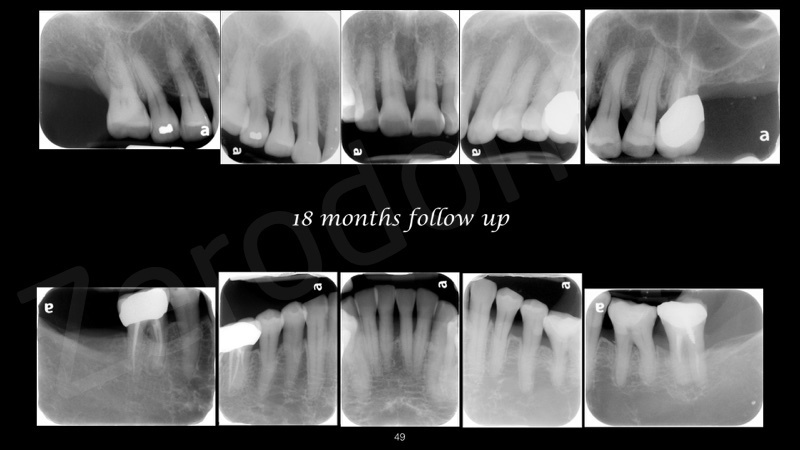 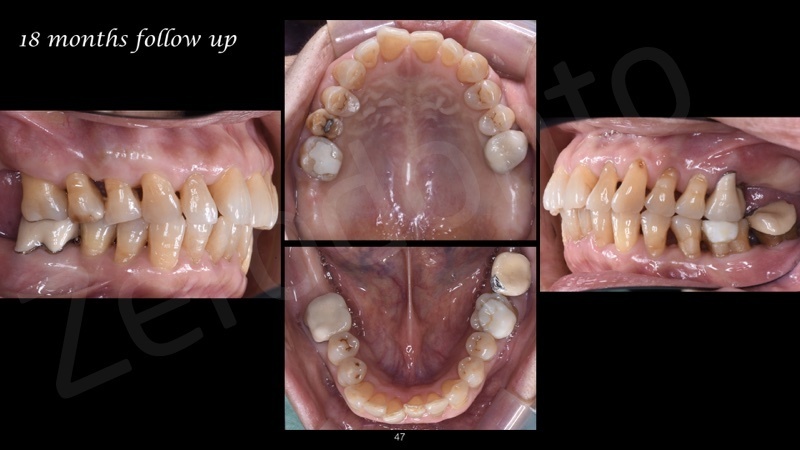 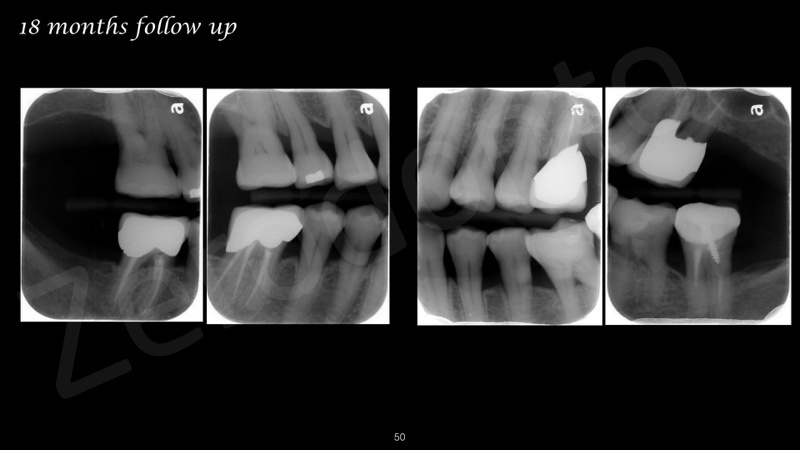 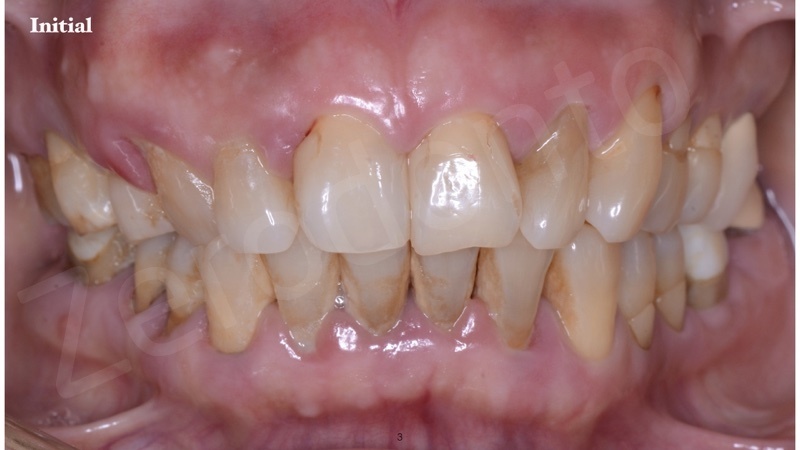 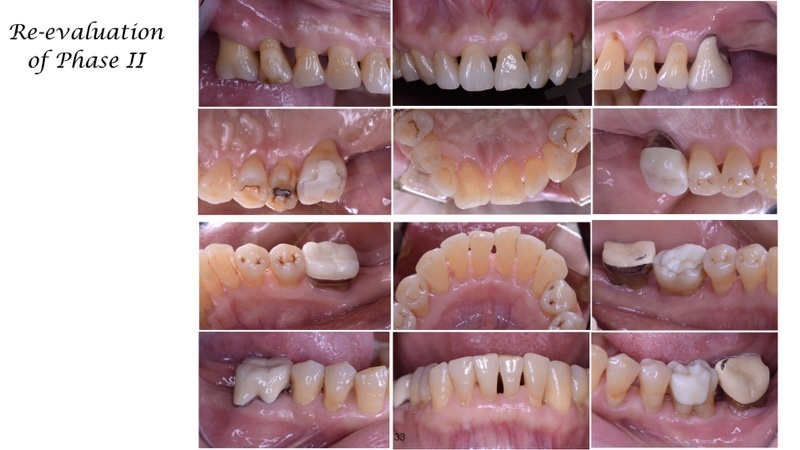 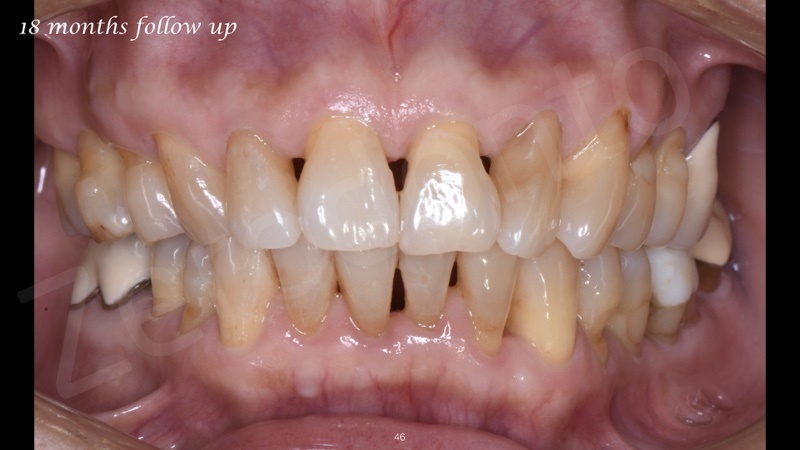 This clinical case report demonstrated successful treatment for patient suffered from severe periodontal disease. 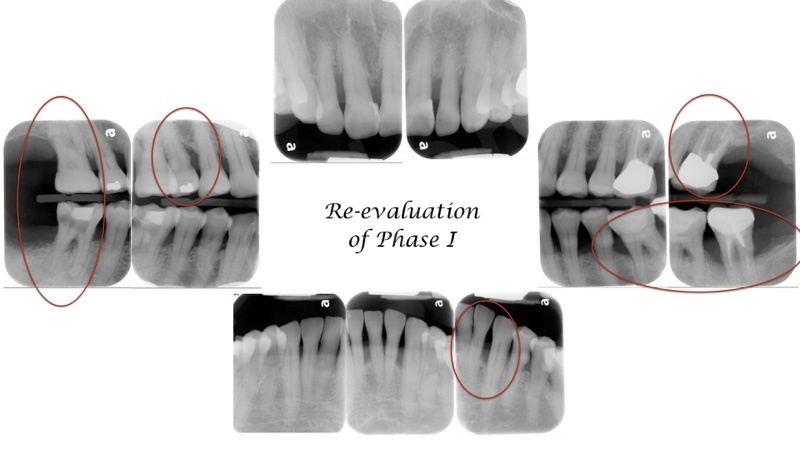 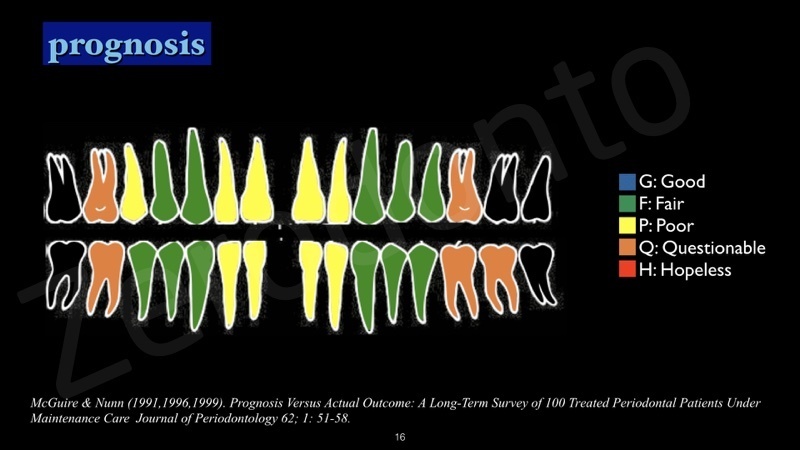 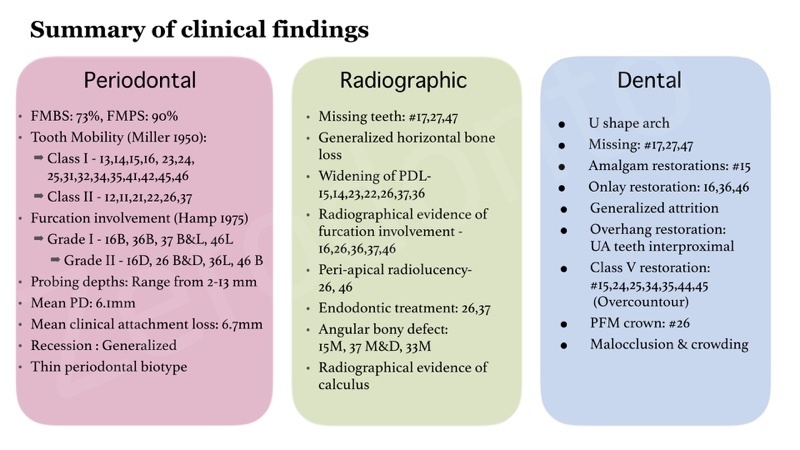 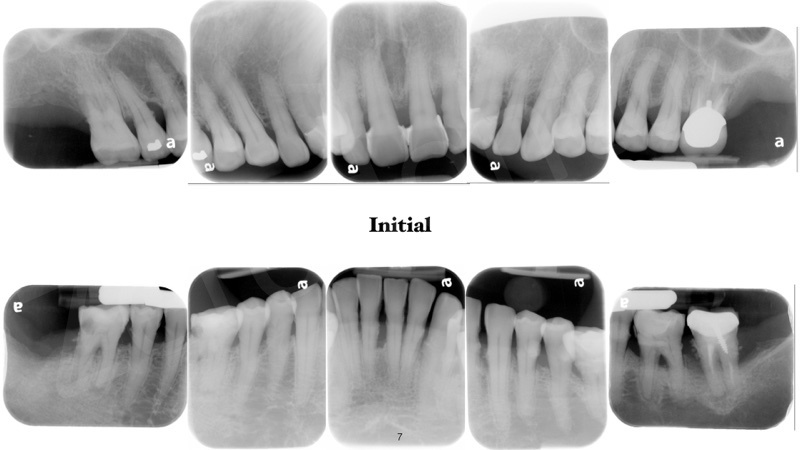 The clinical parameters dramatically changed after controlled of inflammation and infection, and the final outcomes showed prognosis of teeth can be changed by proper treatment. 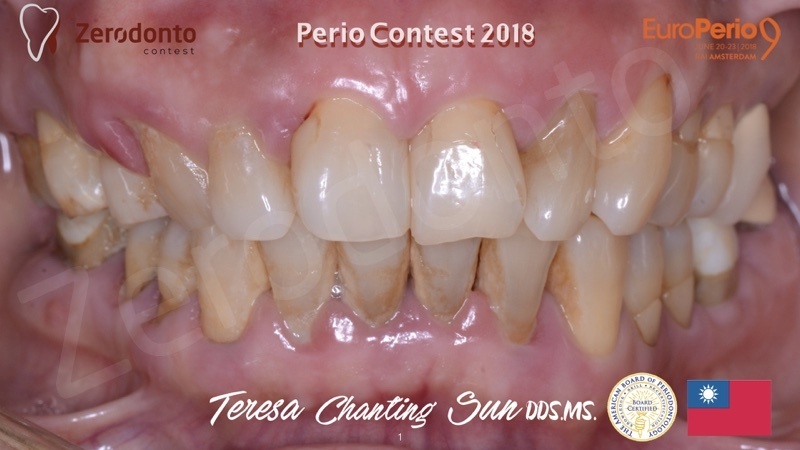 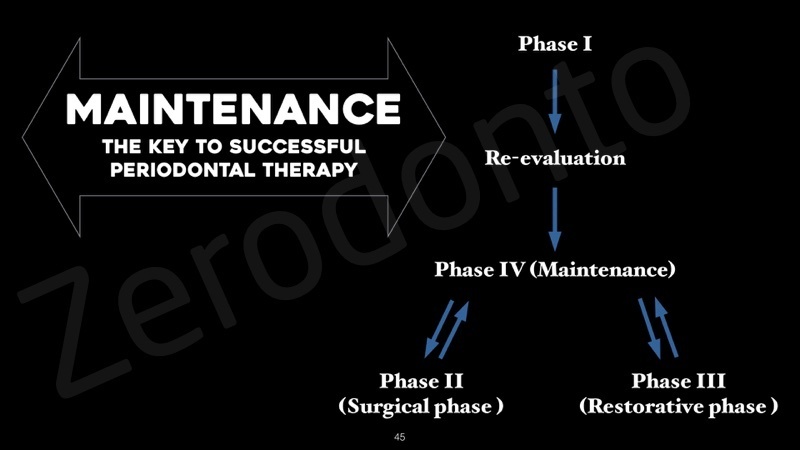 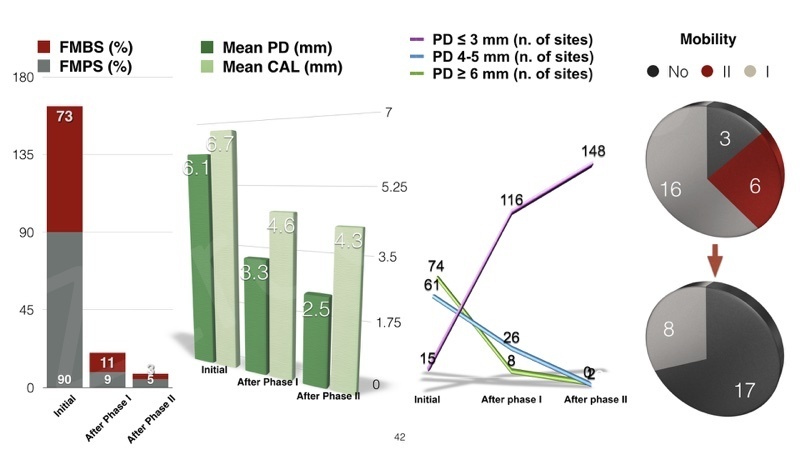 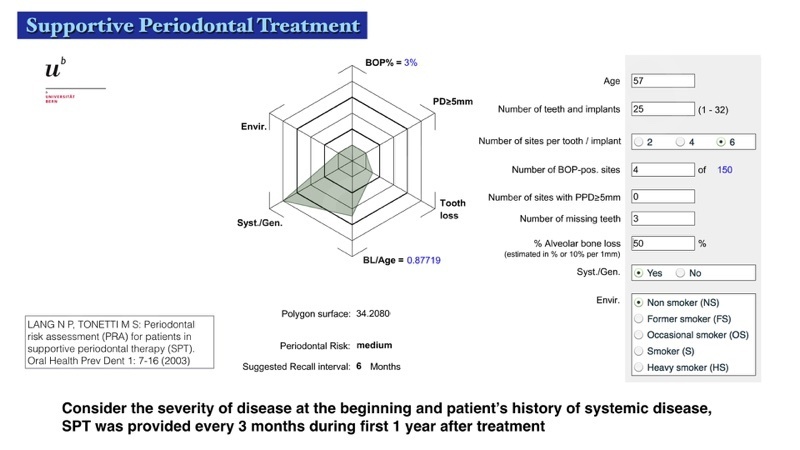 A maintainable oral environment was established, together with a highly motivated and cooperative patient, supportive periodontal therapy is provided regularly to achieve the longevity and stability of healthy periodontium.